Get help and support from CTBF [here]. Also supported by MindsEye. Our popular 2-day workshop returns, bringing you the full skinny on industry & insider info, case studies, practical exercises and the connections you need to kick your career into action. 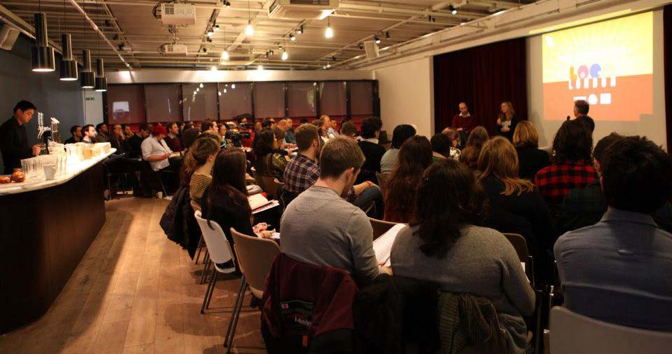 This two-day course for emerging comedy filmmakers offers insider advice from TV commissioners, film-makers, development executives, distributors, exhibitors and more. We can’t teach you how to be funny, but we can help you turn professional. Previous speakers include Alice Lowe (Sightseers), Ben Wheatley (A Field In England, Kill List, Sightseers, Down Terrace), Jane Bussman, (South Park, Brass Eye, Smack The Pony, The Fast Show), Julia Davis (Hunderby, Nighty Night, Human Remains), Kenton Allen (CEO Big Talk Productions), MJ Delaney (Powder Room), Rachel Freck (Casting Director), Rob and Neil Gibbons (Alan Partridge, Alpha Papa), Sam Bain and Jesse Armstrong (Peep Show, Babylon) and Shane Allen (Controller, Comedy Commissioning BBC). “A great blast of confidence and invaluable connections…There isn’t anything else remotely like it.” Staten Cousins Rose and Poppy Roe. Think inspiring panel sessions and fun networking. Think directors, writers, producers, commissioners, development execs, agents, funders and more. Think collaborative and exciting contacts, new business skills, insider knowledge and getting those tricky issues tackled. At Kickstart Your Comedy Career you will not to be taught how to write, direct or produce excellent comedy, you will be taught how to get your foot (and maybe your ankle, possibly a knee) in the door as a good comedy writer, director or producer, with a few helpful connections and motivating insights to start you off. • Plus free entry to the LOCO Discovery Awards and the LOCO masterclass! Watch this space as we confirm the speakers and schedule for 2017!! All Kickstart attendees are invited to the LOCO Discovery Awards on Wednesday 3 May. They also get priority free entry to the LOCO Masterclass, followed by Meet the Filmmakers Networking Drinks to mark the end of the course, both on Friday 5 May 2017. Earlybird deadline (guarantees 20% off full ticket price): Midnight Monday 27 March 2017. Places confirmed by Monday 3 April 2017. Final deadline: Midnight Monday 10 April 2017. Places confirmed by Thursday 13 April 2017. *payment instructions will be provided to approved applicants – payment must be made in full prior to the course commencing. Kickstart Your Comedy Career is designed for new or emerging writers, directors and producers who are on their way to establishing a career in comedy film or TV. You could already be working in film and/or TV but want to move more into comedy, or perhaps you are just starting out in TV and/or film. Either way, this is a fantastic opportunity to meet the people working in comedy, learn about how best to work the industry, how to get your ideas made and seen, and possibly even forge new creative partnerships with other participants on the course. The course could also prove useful for actors/performers and anyone else interested in learning about comedy film and TV. Participants must be over 18 years old to apply. 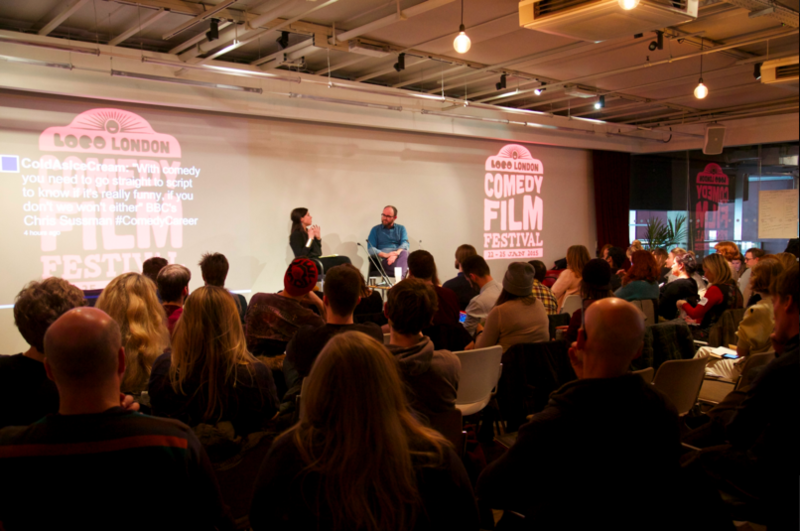 LOCO is proud to be supported by the Cinema and Television Benevolent Fund (CTBF) and Mindseye which enables us to deliver career development for emerging filmmakers in the UK with Kickstart Your Comedy Career. Their support also enables us to help participants towards the cost of course fees, travel, accommodation and childcare. A small number of funds are available to participants who would not be able to attend the course without extra financial support. The maximum amount we can award per person is up to £200. You can apply for help with costs when you fill in the application form for the course. This will be assessed entirely separately, if/after you gain a place on Kickstart Your Comedy Career. Application deadline for help with costs: Monday 10th April 2017. 100% of previous attendees would recommend LOCO film festival filmmaker training to a friend or colleague!